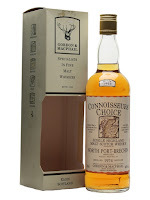 This is a 1974 vintage from Gordon & MacPhail’s “Connoisseurs Choice” series. Light and fruity in the smell. Yet in packs some flavours. 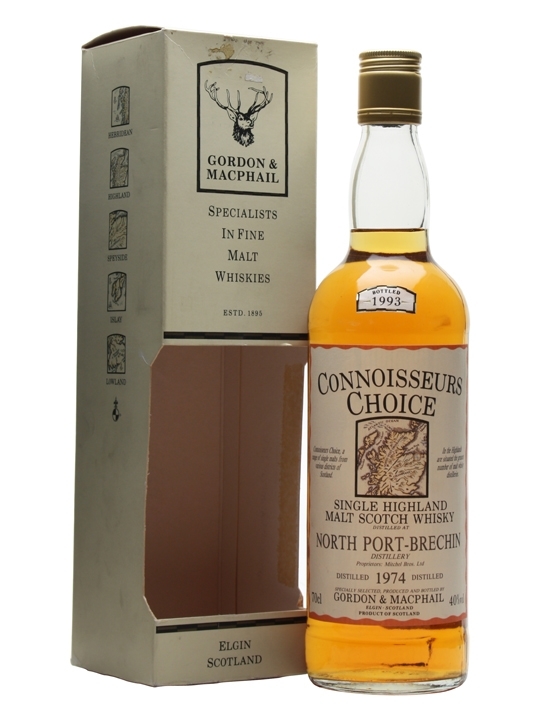 Crisp apples and sweet pears mixed with some weak notes of dried fruits. Hints of vanilla and caramel in the end. Oak and oak spices at first in the taste, and it is actually very flavourful considering the low strength. A fine mix of white and dried fruits. It gets a bit watery in the finish and the low ABV is noticeable. Sweet pears, sweet caramel and vanilla. The vanilla actually stays for quite a while. A very good whisky, and one of those times where I can’t stop wondering about how good this would have been at a bit higher strength! 46, hell, maybe even just 43% would have been exiting to try! I haven’t tried with water, and wouldn’t recommend it, as it seems a bit fragile. I will give this 85/100 (21/22/21/21).